This year Herefordshire Heartstart participated in Restart a Heart Day on October 16th 2018. Restart a Heart Day is a worldwide wide initiative developed by the European Resuscitation Council. It was launched in 2013 to raise awareness of the importance of teaching members of the public how to help restart the heart of someone who has suffered a cardiac arrest. This year Herefordshire Heartstart trained 40 people. We ran courses at: The Whitehouse Community Hub, Hereford; Burgage Hall, Ledbury and Staunton-on –Wye Village Hall. 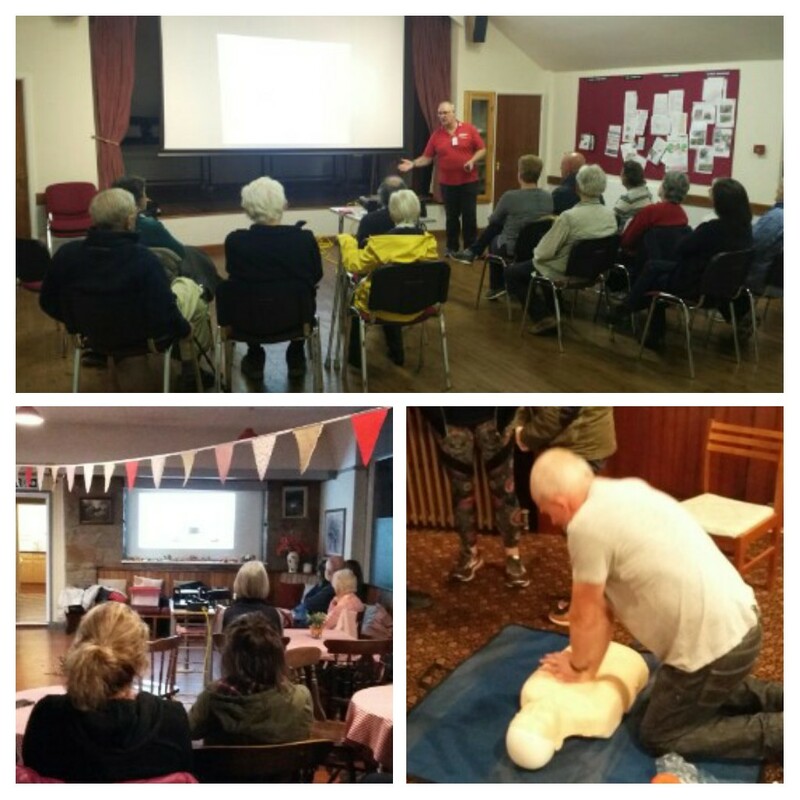 These three venues all allowed us to use their premises without charge to run our free courses teaching invaluable skills in basic life support to members of the local community. Through research and changes to CPR (cardiopulmonary resuscitation) guidelines survival rates have increased over recent years. Yet the UK lags behind other countries. You have less than a one in ten chance of surviving an out of hospital cardiac arrest in the UK, but in Norway, four times that amount survive. It is known that the major difference is the amount of training in CPR that occurs. Since 1996 Herefordshire Heartstart have trained and retrained over 24,000 people in the county. Our aim is to save lives in the community by strengthening the chain of survival. When someone suffers a cardiac arrest their life may depend on a bystander or family member who has learned the necessary skills. Living in such a rural county the help of those around us is essential while waiting for the emergency services to arrive. Herefordshire Heartstart is a charity. Our instructors are volunteers from various walks of life, all with the same notion – to save lives. We are affiliated to the British Heart Foundation but we don’t get any government or British Heart Foundation funding for our scheme. We rely on donations and fundraising by local people.